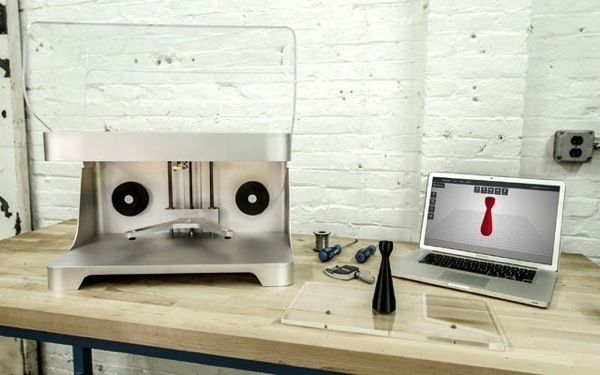 MarkForged 3D Printer Builds With Carbon Fiber #3DPMetal #3DThursday #3DPrinting #3D « Adafruit Industries – Makers, hackers, artists, designers and engineers! Gregory Mark co-owns Aeromotions, which builds computer-controlled racecar wings. 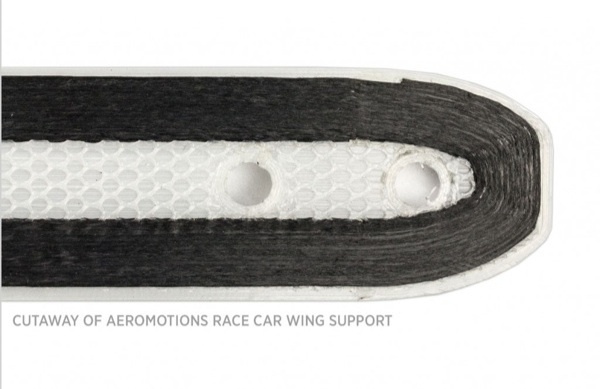 To make those wings both strong and lightweight, they use carbon fiber. No surprise there—it’s the material of choice for many advanced motorsports parts. The problem is that making custom racecar parts out of carbon fiber is daunting. The only real method available is the expensive and difficult process of laying up carbon fiber pieces by hand. To improve the process, Mark looked to 3D printing. But nothing on the market could print the material, and no available materials could print pieces strong enough for his purposes. 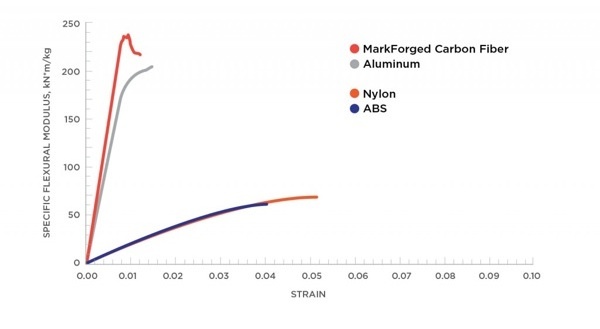 So Mark devised his own solution: the MarkForged Mark One, the world’s first carbon fiber 3D printer. …What you notice first about MarkForged’s printer is its amazing simplicity. With an anodized aluminum unibody and a translucent printing bed, it looks like the Mac of 3D printing. The Mark One employs kinematic coupling for consistent bed leveling, meaning you won’t need to worry about making sure the bed is leveled correctly after each print. It’s also compact, measuring 22.6 inches wide, 14.2 inches tall, and 12.7 inches deep—a good desktop size.